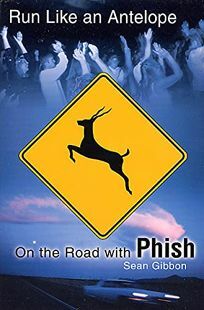 This chronicle of a summer tour with the celebrated Vermont jam band Phish does little to highlight the intriguing aspects of the band or its horde of followers, and even less to distinguish the evidently self-absorbed author. One problem is Gibbon's halfhearted attempt at doing an impersonation of Hunter S. Thompson. ""Screw it. I got to write this sucker,"" he says early on. ""Couple thousand words a day is what I'm aiming for. Crank it out."" The real failing, though, is Gibbon's attitude toward Phish fans, and his reluctance to actually talk to them. What Gibbon doesn't seem to understand is that the people he lampoons as grubby potheads hawking grilled cheese sandwiches to get by are the very ones whose stories would make his book a success. Anyone can drive by a Phish show and see a lot of strange people, but isn't it the job of a book like this to go beyond the counterculture veneer and discern the participants' perspective? Surely something keeps them coming back besides the long lines, noisy campgrounds and traffic jams that Gibbon so often points out. The music can't be the whole story, but rather than ferret out the subtleties of this groupie culture, Gibbon devotes his pages to documenting his every queasy feeling, frenetic exultation and passing opinion. At one point, his brother joins him for a few shows and says, ""I just think for the book you need to go and talk to people and find out what they're doing, where they're from... I think it's got to be more than just your observations."" Readers will want to hug him, but Gibbon is unimpressed. It seems he just wants to crank this sucker out and get back to Burlington for a little peace before all those damn college kids come back. (Feb.) Forecast: For all their Phish needs, fans will continue to rely on the more comprehensive and exciting Phish Book by Richard Gehr (Villard, 1998).